Apartment was fantastic. Majority of the rooms were clean and the bathrooms were excellent. Location did it for us. All in all a wonderful holiday. Hay unas pocas cosas que para mi dan gran valor a un apartamento en la playa: una gran galería con vistas al mar, la proximidad de la playa y unas habitaciones espaciosas. Estas tres características las reune este apartamento. La localisation et la vue depuis l'appartement. Lo que más me gusto fueron las increibles vistas a la playa que hacía que todas las mañanas nos despertaramos con alegría y la compañía pero esto último viene de casa. la grande terrasse de l'appartement et la vue. La vue est incroyable . Pour une famille il y a beaucoup d espace . Emplacement splendide ! Grande appartement , idéale pour une grande famille ! Avec une superbe vue !!! 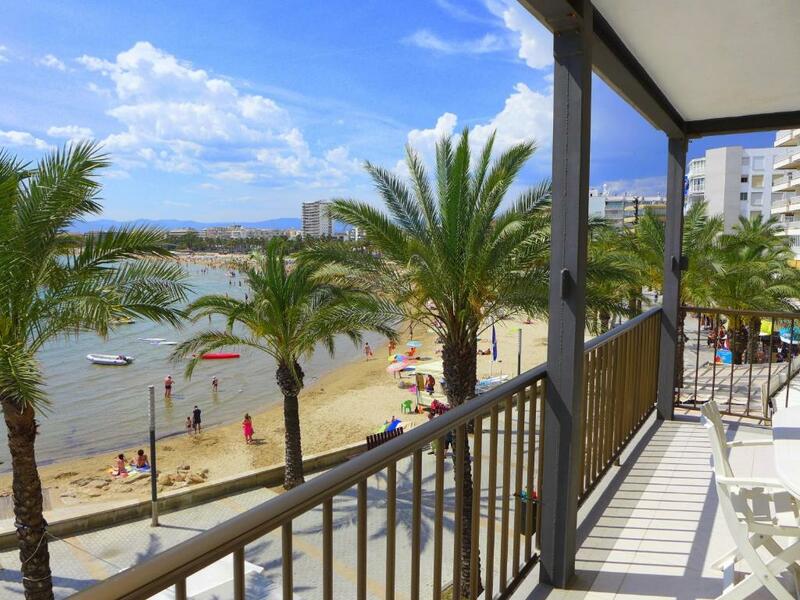 One of our top picks in Salou.Rentalmar Acantilados Playa is located on Salou’s Levant Beach, 1,650 feet from the town center and nightlife area. Each three-bedroom apartment features a private terrace with sea views. Apartments come with a living room with a double sofa bed. Each has 2 bathrooms with bath tubs. 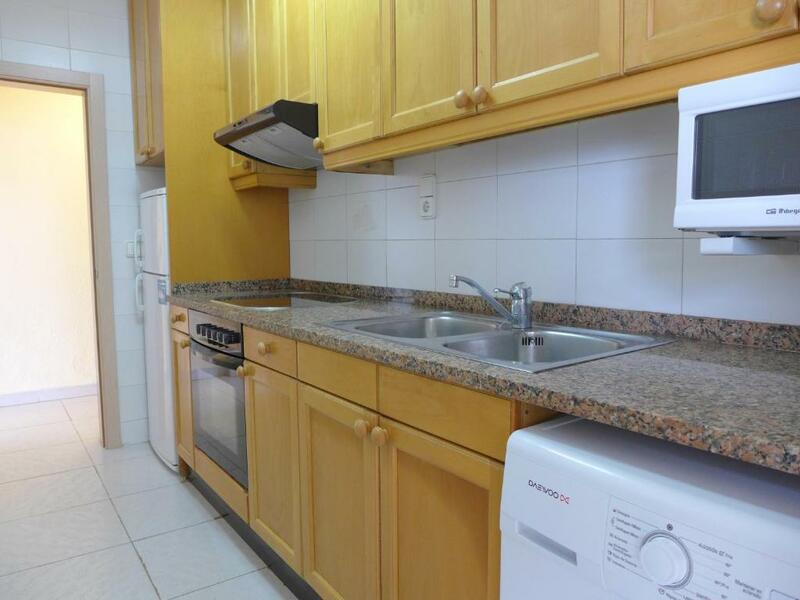 The kitchen and dining area includes a fridge and an oven. Currency exchange is available at the apartments. You will find lots of shops, bars and restaurants within a short walk. When would you like to stay at Rentalmar Family Acantilados? Each three-bedroom apartment features a private terrace with sea views. Apartments come with a living room with a double sofa bed. Each has 2 bathrooms with bath tubs. The kitchen and dining area includes a fridge and an oven. The Rentalmar Family Acantilados apartments are located on the beachfront. You will see the sea from the sofa as if you were on a boat! Spacious apartments with 3 double bedrooms and a double sofa bed in the dining room, large LED TV and renovated bathrooms to make your stay at Rentalmar Family Acantilados unique. 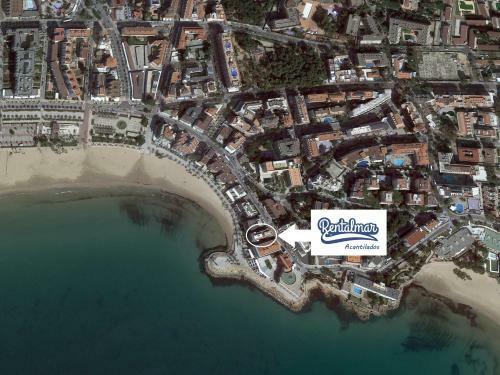 The Rentalmar Family Acantilados apartments are exclusive for families, access to groups of young people is not allowed. Acantilados is located in a lively area full of restaurants where you will be able to taste the traditional Mediterranean food. House Rules Rentalmar Family Acantilados takes special requests – add in the next step! Rentalmar Family Acantilados accepts these cards and reserves the right to temporarily hold an amount prior to arrival. Guests are kindly requested to contact the property prior to arrival for further details. Contact information can be found on the booking confirmation. Cots are available on request and subject to availability. Children over 2 years old will be charged a supplement of EUR 3. Maximum 1 cot per room. Supplements are not calculated automatically in the final bill and must be paid separately during the stay. Thankfully my partner googled where we needed to go after collecting the keys, if not we would have been stuck as the name of the apartment wasnt on the building. The only problem we had were the neighbours. First night was atrocious. Took ages to get to sleep with the noise at the front, which was expected as we were on that seafront so to speak. However, after finally falling asleep, at 2:30 am the eight guys in the adjoining balcony decided to have a party on there. After an hour of that, couldn't take no more so had to shout at them. My partner and I were sleeping on the sofa in the living room so that probably didn't help. Thankfully they were gone by the next morning and the rest of the time was quiet! Next time we will definitely book a hotel or apartment where there will be families, just for some peace and quiet!